Access Control solves many problems; employee theft, visitor management, unauthorized access, re-keying cost, and workplace violence. 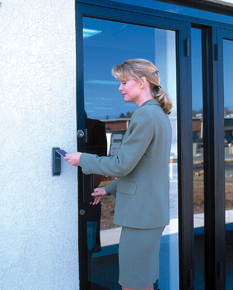 From a simple single door system to a large complex application, United Security Systems, Inc can provide the solution. We use the highest quality access control equipment available from Honeywell Security. Our design experts can work with your requirements to provide you with a comprehensive solution. Call today to schedule a no-cost, no-obligation security assessment and consultation.